InVogueJewelry: Gem Silica - What Is It? I saw a ring today and it was the most beautiful turquoise blue color, like a swimming pool or like Caribbean water. It was a large oval cabochon, and it was VERY expensive. It was described as "Gem Silica". I think it's my new favorite gemstone! 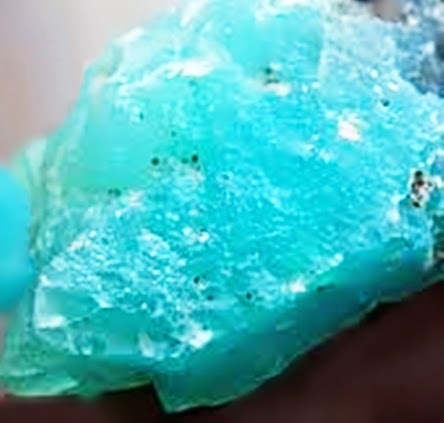 At first I thought it was Aquamarine, or maybe even some sort of man-made glass. In researching this mineral, I saw that it goes by various names: Gem Silica, Gem Chrysocolla, Chrysocolla Chalcedony, and other similar names. It is the most expensive gemstone in the quartz family. Gem Silica is often referred to as "Gem Chrysocolla" but it really is a member of the Chalcedony (Quartz) family. Technically, it is gem Chalcedony. 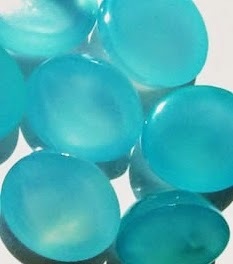 Gem Silica is a trade name for a very rare and very specific turquoise-blue color of Chalcedony. Chalcedony is translucent crypto-crystalline quartz and is found in many colors, and has a hardness of 7 on the Mohs scale, making it a great gemstone for jewelry. Gem Silica is a very rare mineral. It's mined in New Mexico and Arizona, and has become extremely scarce in the last few years. 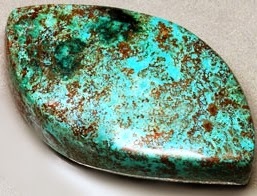 Chrysocolla is a gemstone that is one of the few gemstones that contains copper. It's often found mixed with turquoise, azurite, malachite or quartz. It's a very soft mineral, with a Mohs hardness of only 2-4. When the very rare green-blue turquoise color of Chalcedony is found, it's called "Gem Chrysocolla" because the color is the same as Chrysocolla. 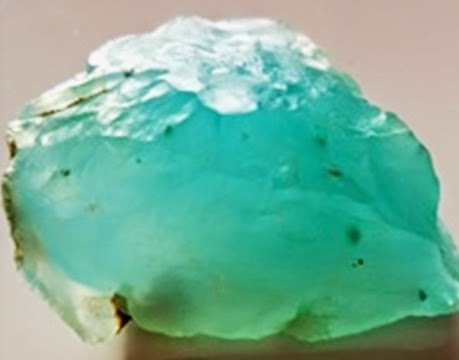 Transparent Chalcedony is stained by the same copper salts that color Chrysocolla, resulting in the unique natural turquoise color of quartz. Gem Chrysocolla, or Gem Silica, has the incredible color of Chrysocolla but has the hardness of quartz. Gem Silica, or Gem Chrysocolla, is extremely rare and is VERY expensive---over $100 a carat and UP, which is about ten to twenty times the cost of chalcedony. It's popular in Asia for it's similar look to jade. As a very expensive and rare stone, you would most likely find this gemstone set into 14k or 18k gold.